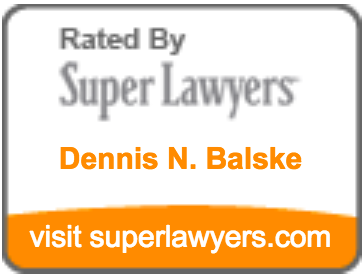 Mr. Balske has appeared as an expert witness in numerous cases across the country and in Oregon. Other post-conviction attorneys retain him to testify to the required standard of practice and whether the defense lawyer met the standard in the particular case. Salem, Oregon (2010-14) – Expert witness regarding ineffectiveness of trial counsel in four capital murder cases. Bay Minette, Alabama (2008) – Expert witness in state court regarding ineffectiveness of trial counsel in capital murder case (case settled for life sentence prior to hearing). Kansas City, Missouri (1992) – Expert witness in federal court regarding ineffectiveness of trial counsel in capital murder case. Mobile, Alabama (1992) – Expert witness in state court regarding ineffectiveness of trial counsel in capital murder case. Orlando, Florida (1991) – Expert witness in state court regarding ineffectiveness of trial counsel in capital murder case. Cincinnati, Ohio (1990) - Expert witness in state court regarding ineffectiveness of trial counsel in capital murder case. Covington, Kentucky (1989) – Expert witness in federal court regarding ineffectiveness of trial counsel in capital murder case. Terre Haute, Indiana (1987) – Expert witness in state court regarding ineffectiveness of trial counsel in capital murder case. San Antonio, Texas (1986) – Expert witness in state court regarding ineffectiveness of trial counsel in capital murder case. Mobile, Alabama (1986) – Expert witness in federal court respecting ineffectiveness of trial counsel in capital murder case. Mobile, Alabama (1986) – Expert witness in federal court regarding ineffectiveness of trial counsel in capital murder case (unrelated to other appearance in federal court in Mobile on same issue in 1986). Tuscaloosa, Alabama (1986) – Expert witness in state court regarding ineffectiveness of trial counsel in capital murder case. Columbus, Ohio (1986) – Expert witness in state court regarding ineffectiveness of trial counsel in capital murder case. West Palm Beach, Florida (1985) – Expert in state court regarding ineffectiveness of trial counsel in murder case. Ozark, Alabama (1985) – Expert in state court, called by defense counsel in support of pretrial motions in capital murder case. Montgomery, Alabama (1983) – Expert in state court, called by defense in support of pretrial motions in capital murder case. Birmingham, Alabama (1982) – Expert witness in federal district court regarding ineffectiveness of trial counsel in capital murder cases. Nashville, Tennessee (1981) – Expert in state court regarding ineffectiveness of trial counsel in capital murder case.